Akuma, one of the legendary warriors of Capcom's long-running Street Fighter video game franchise, comes to life with this unique figure! 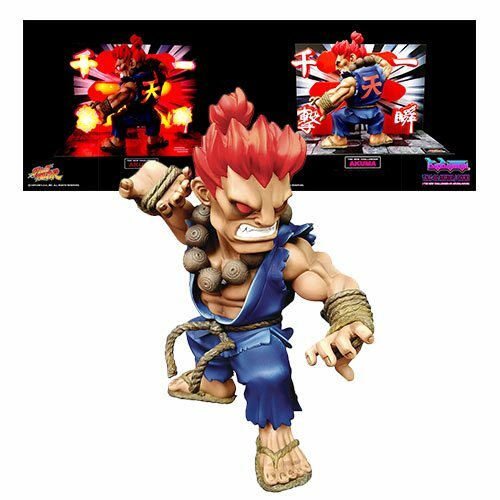 Standing 6 3/4-inches tall on a base 9 1/8-inches wide that replicates the fighting background from the game, complete with health bar, Akuma stands posed ready for battle! The figure also has light and sound features and requires 1x "AAA" battery.